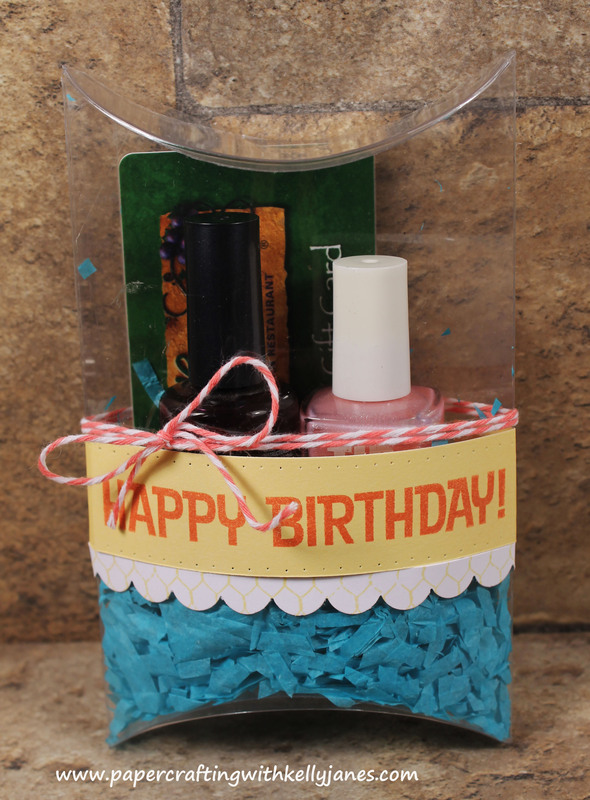 Today I have a couple birthday themed projects for you including a gift bag! Using paper from the Chantilly Paper Packet I cut long banners and attached a bow using Color Ready Seam Binding Ribbon to the handle. 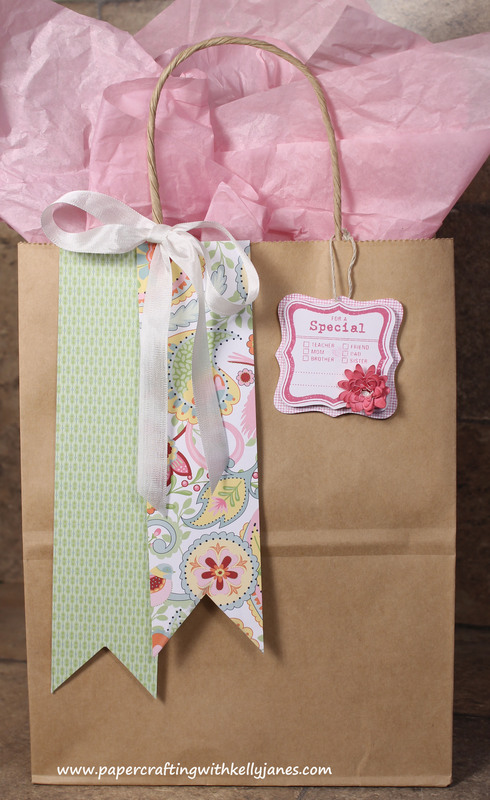 This ribbon is great because you can color it with any ink color you choose! No need to buy ribbon in multiple colors anymore!!! I chose not to add any ink to the ribbon, and it still looks fantastic leaving it white!!! 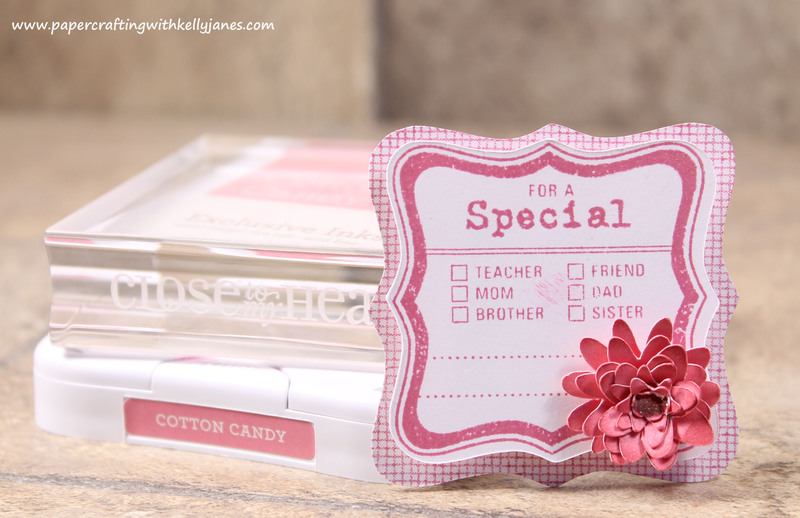 Using the Cricut® Art Philosophy Collection, I cut two journaling tags ( 2 inches and 2 ¼ inches) and used a coordinating stamp set that comes with the Art Philosophy collection for the face of the tag using Cotton Candy Exclusive Ink. 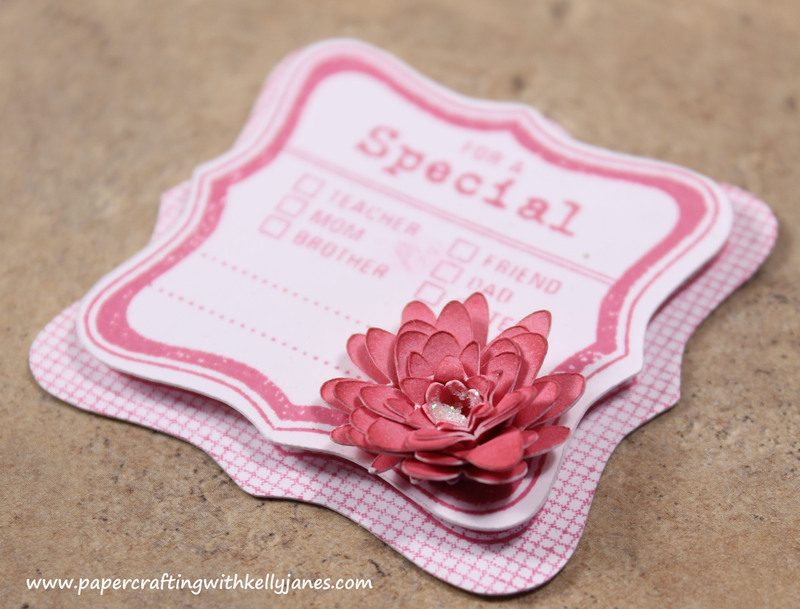 I also used the Universal Backgrounds Stamp Set in the same color for the design on the background tag. 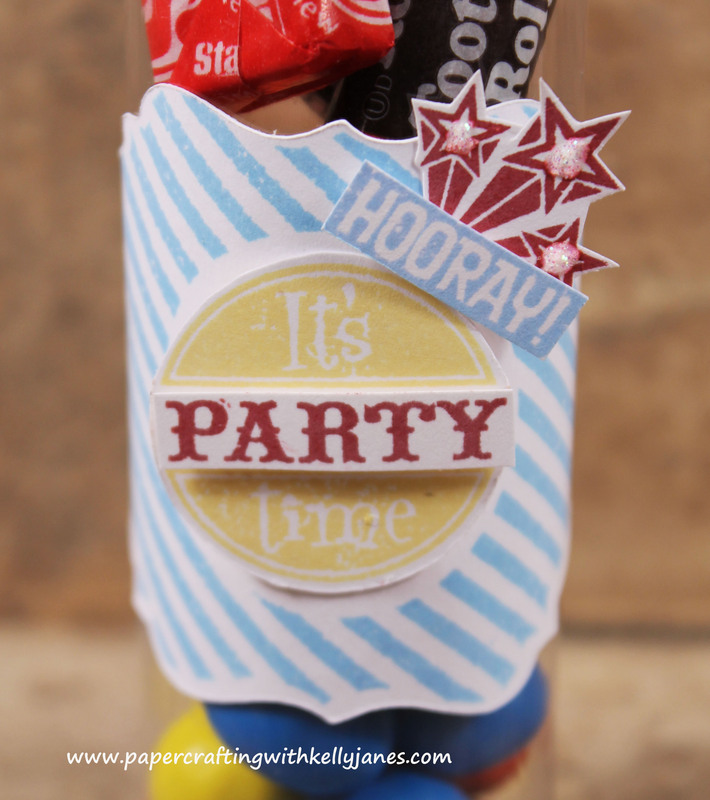 Don’t forget your 3D Foam Tape to add dimension to the tag!! I tied the tag to the bag using Natural Hemp. One of the great things I LOVE about the Art Philosophy Collection is there are a variety of 3D flowers that can be cut! To give the tag a little POP I used one of those flowers in Cotton Candy Cardstock and added a little Stardust Glitz Glitter Gel to the center to liven it up!!! 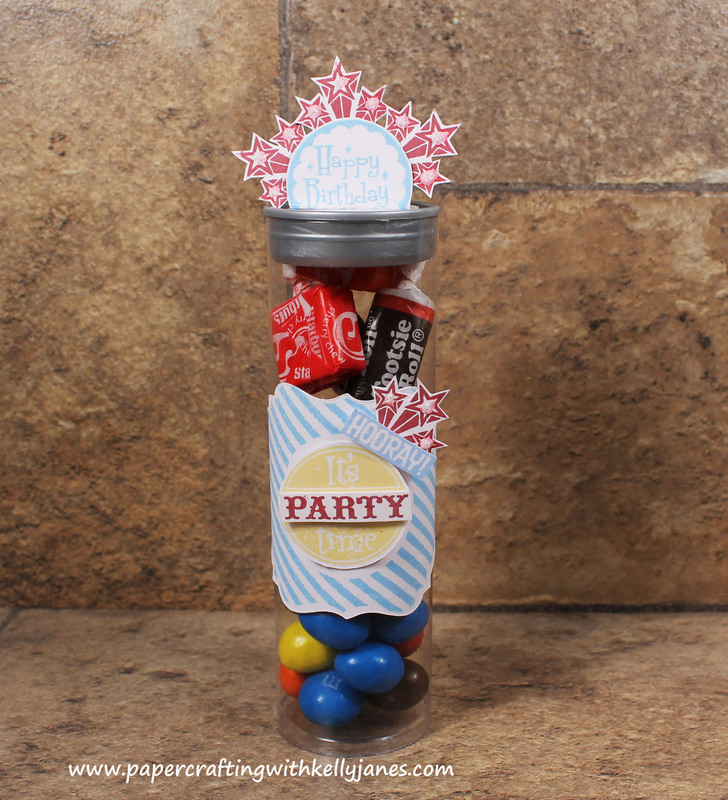 Close To My Heart offers a variety of ways to enhance any birthday party or special occasion.